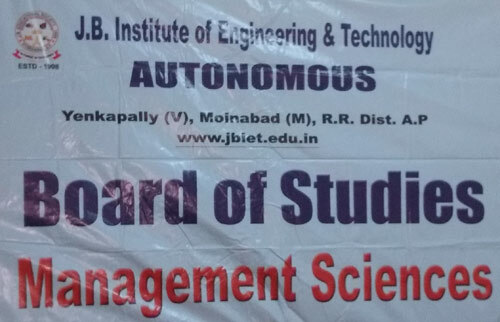 The department of Science and Humanities at JBIET offers the bridge courses in English, Mathematics, Physics, Chemistry, Managerial Economics & Financial Analysis and Environmental science that help the engineering freshmen get attuned to the specialized engineering domains. 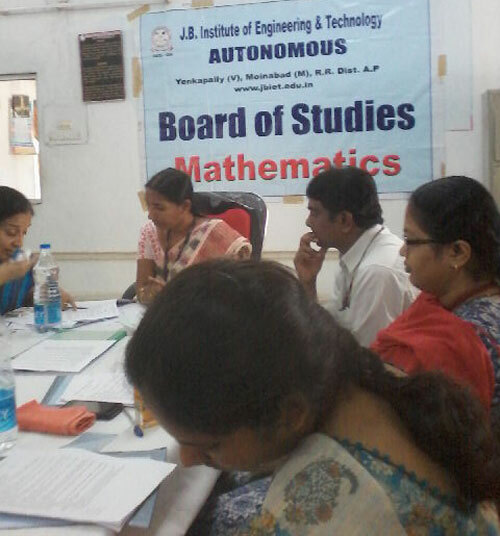 In addition, the department coordinates a smoother transition of our novice engineering aspirants from the academic setting they experienced at 10 + 2 level to the study ambience they will encounter in their undergraduate Engineering and Technology course. 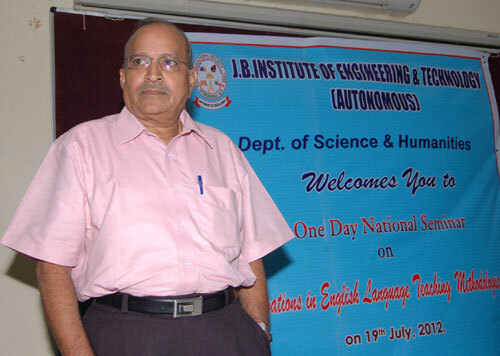 As an ancillary department that supports the conduct of specialized courses, offered in its domain, as a part of the curricula of other main branches of engineering the department acquires a multi-disciplinary nature and so the faculty belongs to different disciplines namely, English, Mathematics, Physics, Chemistry, Managements Studies and Environmental Sciences. 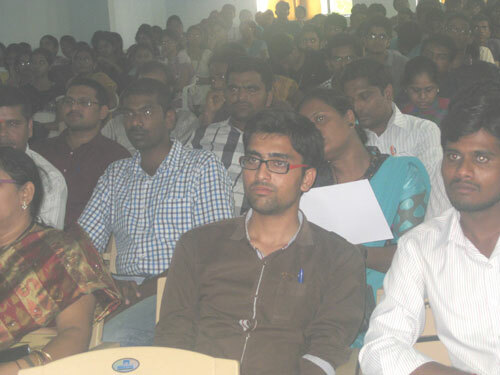 The Admissions and the Academic work of all the first years are taken care by the H&S department. The department shields the responsibility of the consolidation of attendance and the sessional marks of the first years and the maintenance of the Parent-Institution communications for the welfare of the students. 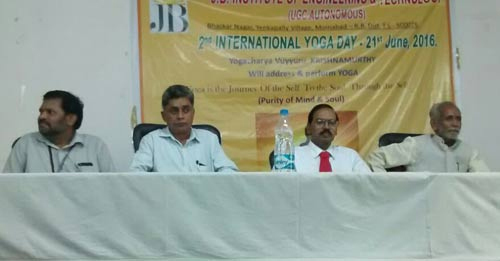 The members of the faculty regularly attend seminars and workshops and training programs on various engineering subjects. 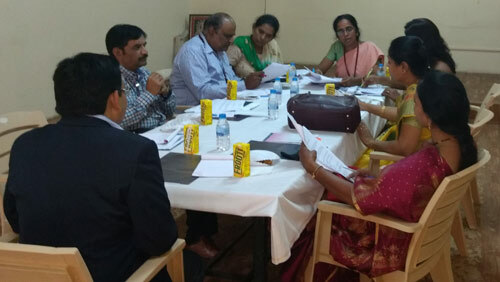 Most of them are associated with scientific bodies striving for the professional and intellectual development of their fellow faculty members. 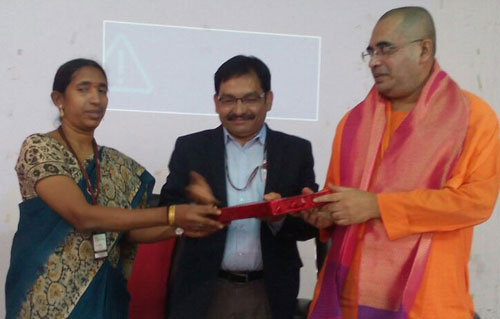 The faculty has addressed itself to the need to orient the students towards the ultimate goal of relating their knowledge to the reality of life situations. To upgrade performance standards in the field of mathematics in order to be a leading department in the kingdom and Arab world in academic arena. 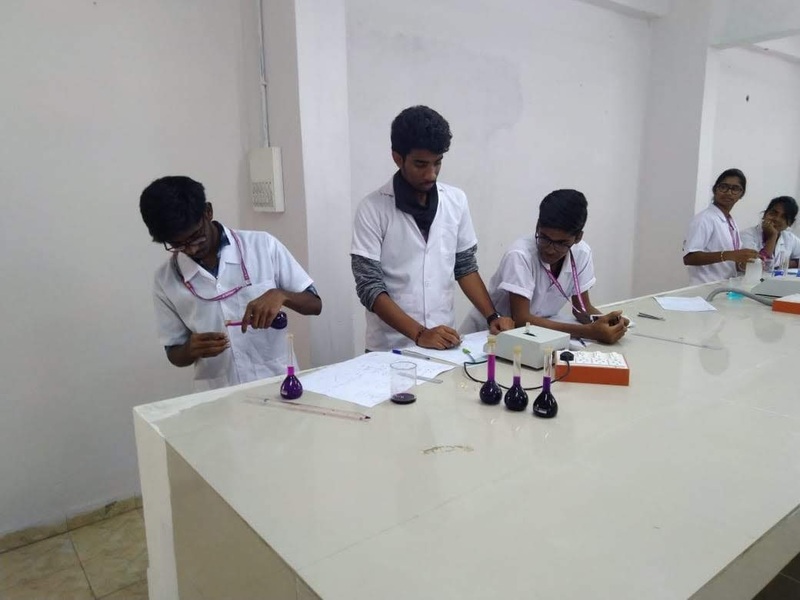 Envisions training students for quality physics education and equip them with such skills for higher studies in national higher educational institutions. 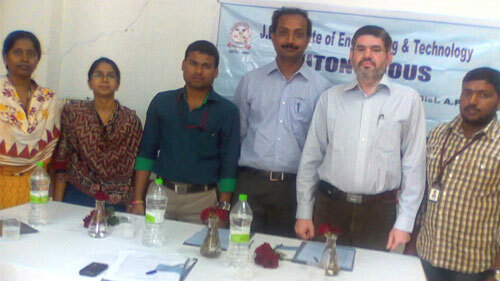 To provide high quality physics education and equipping students for higher education. 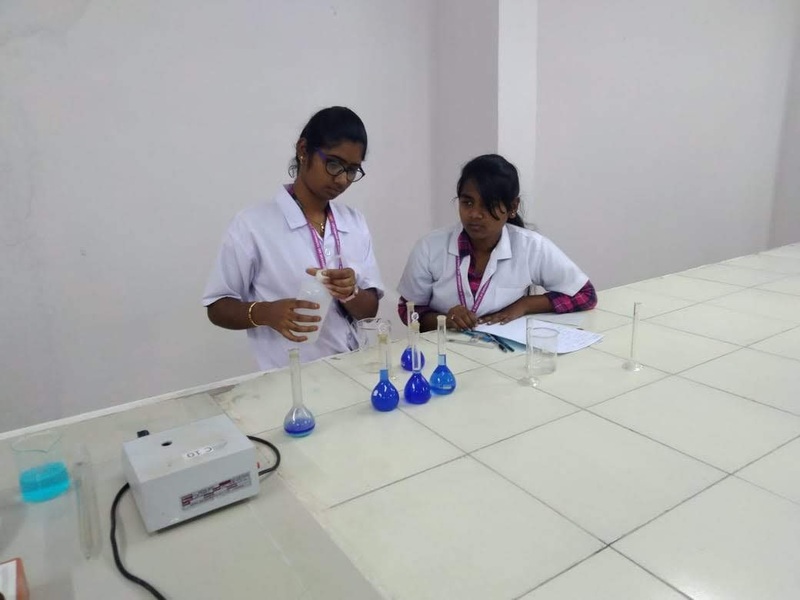 Envisions to provide the state of the art chemistry education and to enable students to reach global standards. 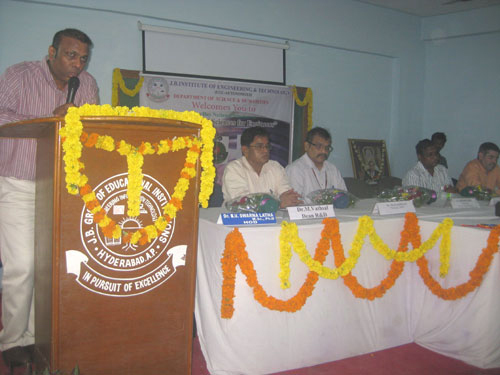 To function as a vibrant and high quality research centre by supporting the faculty involved in such pursuits. 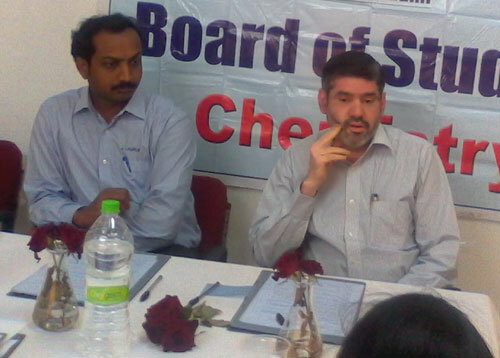 To offer courses of global standards. To encourage students to take competitive exams like NET & SLET. To prepare them for careers and higher education. 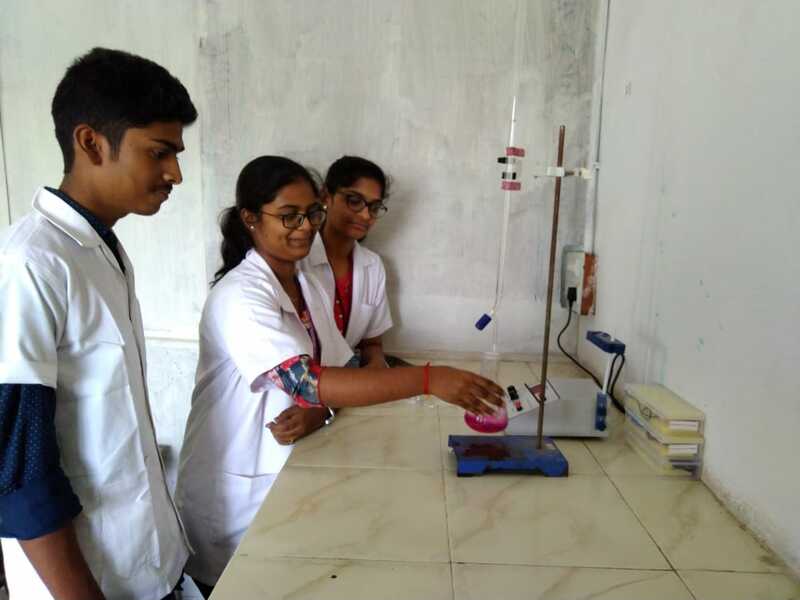 The Department has well equipped and state of the art Engineering Physics & Chemistry Labs as per the JNTU norms, AICTE and NBA requirements for the First Year B.Tech students of all braches. 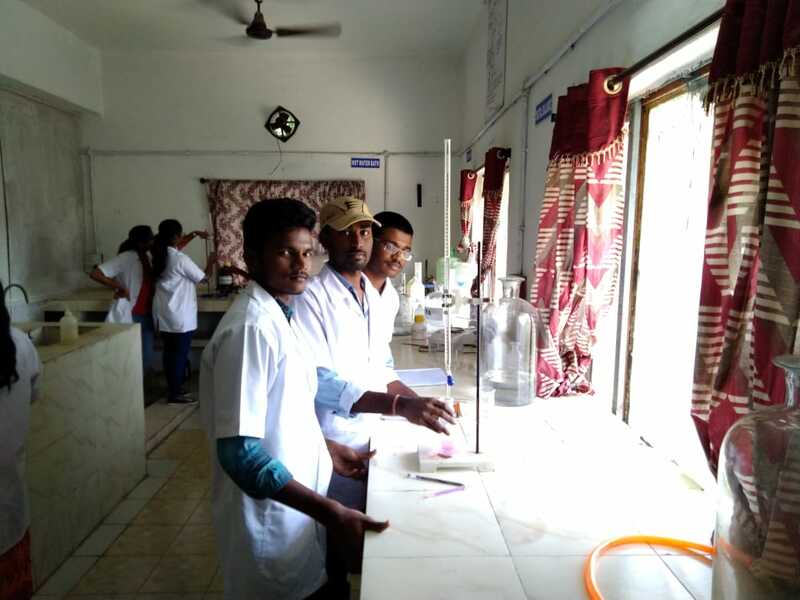 The students have to complete atleast 12 experiments in 16 weeks. 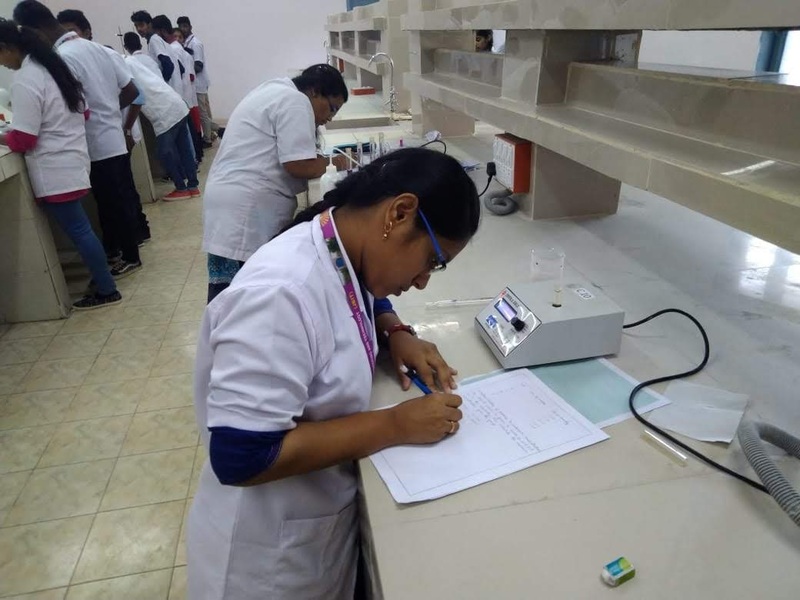 The Lab manuals are prepared by the faculty members and supplied to students. 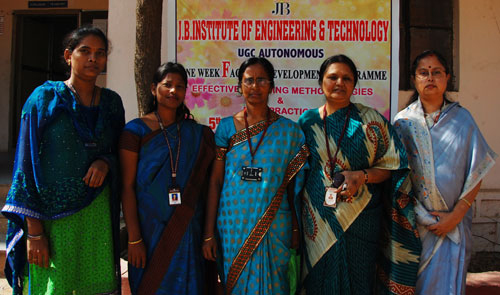 In the academic year 2005-2006 English lab is introduced in the syllabus by JNTU for all the branches in First Year Engg. 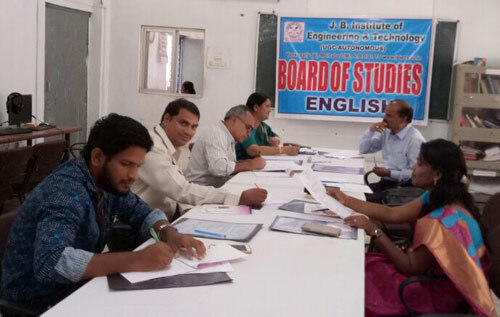 The English lab is established which includes English language lab (Phonetics) and Interactive Communication Skills lab with the total expenditure of 13 lakhs. The language lab focuses computer-aided multi-media instruments and leashes acquisition through a variety of self-instructional learner-friendly modes of language learning in phonetics, accent, intonation and Rhythm. 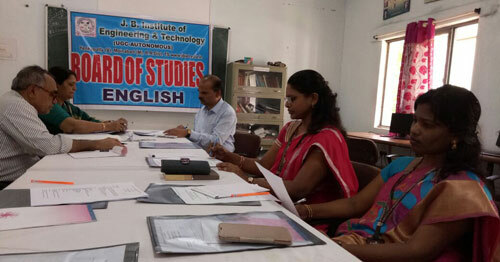 The language lab provides the required exposure to face computer-based competitive exams such as GRE, TOEFL, & GMAF. Interactive Communication Skills lab caters to the needs of the students in facing interviews, group discussion, public speaking, report writing, resume writing, format making and paper presentation. 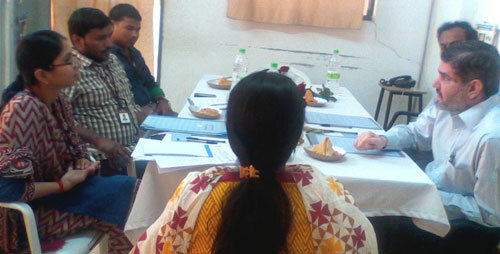 English lab builds up the confidence of the students to develop leadership qualifies through communicative competence. Minor Research Project entitled “ Peristaltic Pumping of Non-Newtonian Fluids in a Curved Channel / Tube with Complaint Walls” from UGC dated March 2014 -2016. 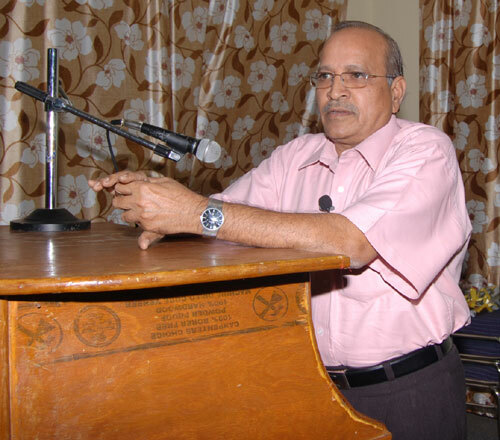 B.V.Swarnalathamma (2008), On Ordered Semirings with Integral Multiple Property, Proceedings of the International Symposium on Semigroups and Applications”, Department of mathematics, University of Kerala, Thiruvanthapuram, 115-119. B.V.Swarnalathamma (2009),On the Additive and Multiplicative Structure of ordered Semirings, Proceedings of the 5th Asian Mathematical Convention (AMC 2009) International Seminar on Recent Trends in Algebra and its and Related Topics”, Department of Mathematics, Bursar University Sains Malaysia, MALAYSIA, 262-265. B.V.Swarnal;athamma(2015), “Structure of Semirings with Integral Multiple Property” , International Journal of Advanced Engineering and Global Technology, Vol-03(12), pp. 1542-1546. 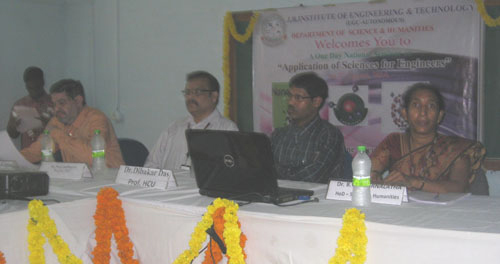 B.V.Swarnalathamma (2015), “Heat and Mass transfer on the peristaltic flow of an incompressible electrically conducting Williamson fluid through a porous medium in a symmetric channel with Hall current effects and inclined magnetic field,” International Journal of Scientific & Engineering Research, Vol. 6, No. 9, pp. 941-957. 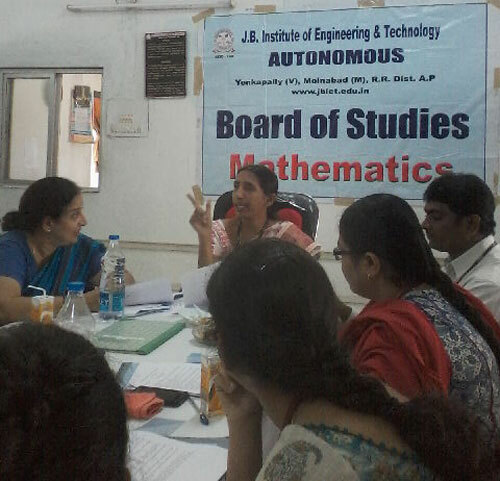 B.V.Swarnalathamma (2016), “ Hall effects on Unsteady MHD Free Convection flow of an incompressible electrically conducting Second grade fluid through a porous medium over an infinite rotating vertical plate fluctuating with Heat Source/Sink and Chemical reaction,” Journal of Mathematics, Vol. 12 (2), pp. 8-24. http://dx.doi.org/10.9790/5728-1202050824. B.V.Swarnalathamma (2016), “Convective Heat and Mass transfer on MHD Peristaltic flow of Williamson fluid with effect of Inclined Magnetic field,” AIP Conference Proceedings,1728, 020461 (2016). http://dx.doi.org/10.1063/1.4946512. B.V.Swarnalathamma (2016), “Peristaltic hemodynamic flow of couple stress fluid through a porous medium under the influence of Magnetic field with slip effect,” AIP Conference Proceedings, 1728, 020603 (2016); http://dx.doi.org/10.1063/1.4946654. 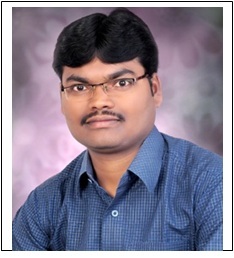 B.V.Swarnalathamma (2016), “Heat Transfer Analysis on Peristaltic Flow of Jeffrey Fluid through Porous Medium in a Vertical Stratum under the Influence of Uniform Transverse Magnetic Field,” Lecture Notes in Mechanical Engineering (Springer) (Accepted). B.V.Swarnalathamma and (2016), “Heat and mass transfer on Unsteady MHD Oscillatory flow of Blood through Porous arteriole” , Lecture Notes in Mechanical Engineering (Springer) (Accepted). B.V.Swarnalathamma, (2017) “Heat Transfer on MHD Peristaltic Flow of Jeffrey Fluid through Porous Medium in a Vertical Stratum with Hall effects,” Energy Precedia (Elsevier) (Accepted). 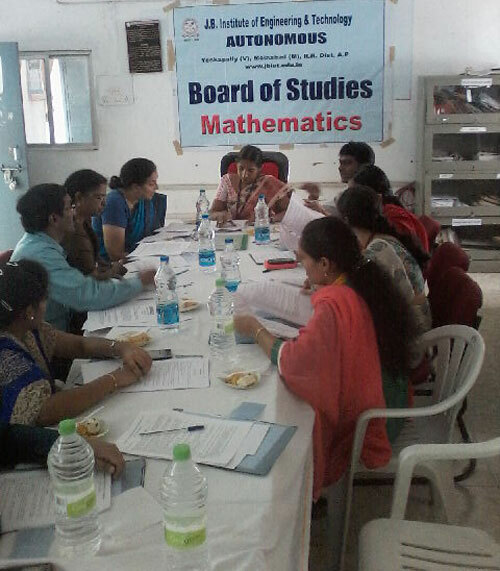 Department of mathematics(S & H) pursuing PhD from Krishna University, Machilipatnam.